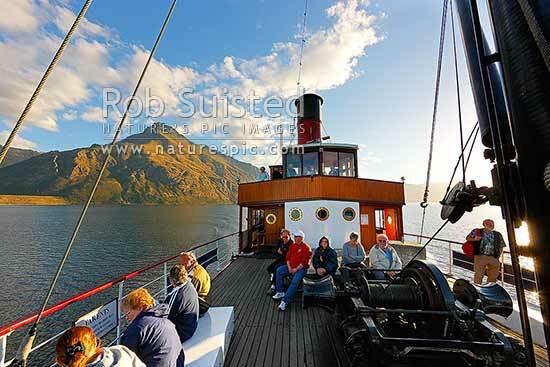 TSS Earnslaw, an historic steamship carrying tourists on Lake Wakatipu. Walter Peak (1800m) behind. Evening light, Queenstown, Queenstown Lakes District, Otago Region, New Zealand (NZ), stock photo.